Raleigh, N.C. – Smith Anderson partner Bill Nelson has authored the 2015 edition of the Guidebook to North Carolina Taxes recently published by CCH. Each year, the Guidebook provides an updated overview of all North Carolina taxes, including legislative, judicial and administrative developments. This publication is available for purchase online at www.cchgroup.com. Bill Nelson began co-authoring the Guidebook in 2002, the first year CCH selected outside authors to write the content, and has authored or co-authored all editions since then. As a partner at Smith Anderson, Bill practices in the areas of federal, state and local tax planning and advocacy for businesses and tax-exempt entities. He also advises privately held companies in corporate law matters and business transactions. His diverse experience includes planning and structuring corporate acquisitions and tax-free reorganizations, tax planning for private equity funds, partnerships and limited liability companies, general tax planning for businesses and international tax planning. For more information, please visit his bioat www.SmithLaw.com. Since our founding in 1912, Smith Anderson has grown to more than 120 attorneys and is the largest law firm headquartered in North Carolina’s world-renowned Research Triangle area. We serve clients ranging in size from large public companies to emerging growth businesses, providing a full range of legal services to assist our clients in accomplishing their goals. The knowledge and experience of our attorneys make us well positioned to handle the litigation and business matters that our clients face. 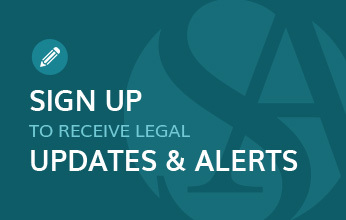 For more information, please visitwww.SmithLaw.com.